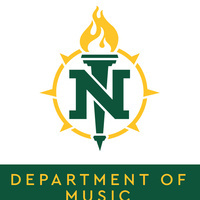 The NMU Percussion Ensemble, under the direction of Professor James A. Strain, will present its annual fall semester concert on Saturday, November 10, 2018 at 3:00 p.m. in Reynolds Recital Hall. The concert will be performed on standard percussion instruments such as drums, vibraphones, marimbas, xylophones, bells and timpani. The music will include not only contemporary percussion chamber music, but also music based on African drumming, jazz, Latin, ragtime, and even a drum set quartet!